Since 1993 Robert Levy's guest appearances as soloist, clinician, or lecturer have been sponsored in part by the Getzen Company as he has performed and recorded on Getzen trumpets. Numerous appearances include workshops at the Juilliard School of Music (for the American Brass Quintet Symposium), Tanglewood (Empire Brass Symposium), Monumental Brass Quintet Workshop (Washington D.C.), in Green Bay (with the Canadian Brass), Manhatten School of Music, Indiana Univ., Univ. of Iowa, and numerous high schools and colleges from coast to coast. 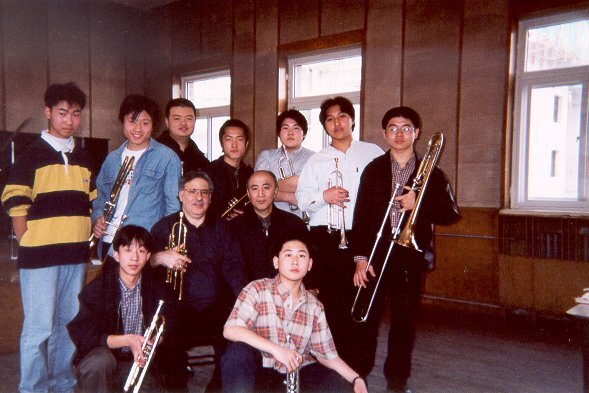 He has performed as soloist and chamber musician in more than forty states, Canada, Portugal, China (above picture at Central University of Nationalities, Beijing), Australia, Jamaica, and Haiti; at Harvard University (several times), Manhatten School of Music, Indiana University, twice as soloist for the International Trumpet Guild's annual conference, the New York Brass Conference, and in 1991 was guest artist-in-residence at the Western Australia Academy of Performing Arts. He has also performed with the National Symphony Orchestra (Washington, D.C.), Green Bay Symphony, as soloist with the Fox Valley Symphony, with the Watts Electric New Music Ensemble, Center for New Music (Iowa), and throughout the country with the Wilder Duo (with marimbist Gordon Stout). A tireless worker, Robert Levy has repeatedly received enthusiastic responses to his clinics and masterclasses. His engaging manner, creative approach, and commitment to teaching have been influential to students of all ages. 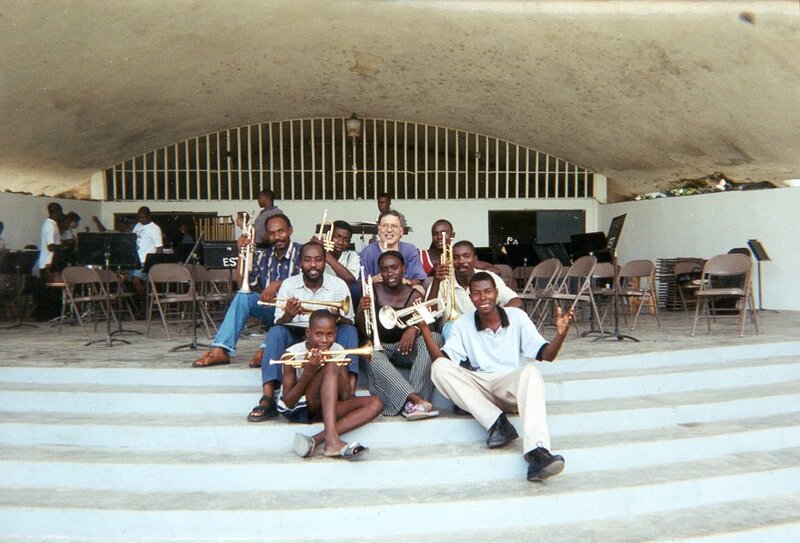 With students in masterclass, Leogane, Haiti.